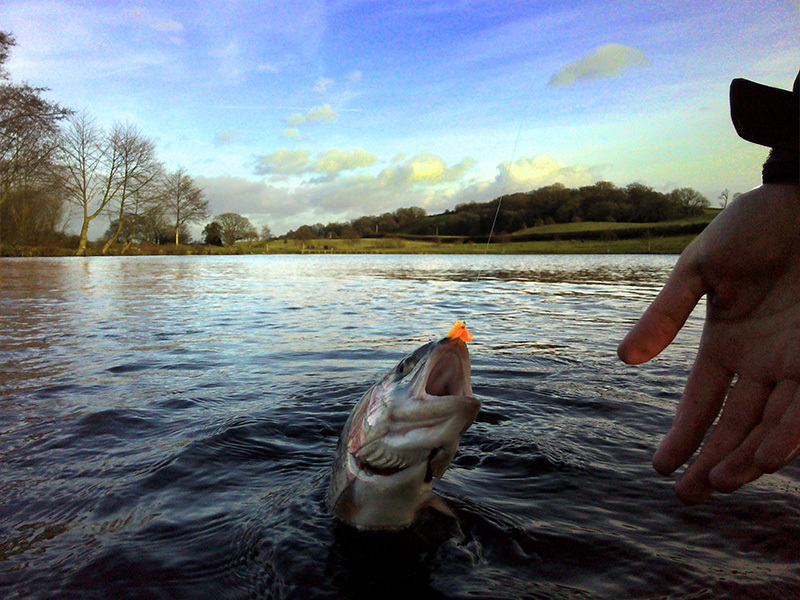 For many years now I’ve been fishing small-waters throughout the winter months, getting to grips with how rainbow trout feed in the cold seasons and how they react to different methods. One thing I’ve noticed with cold water temperatures – along with a few of my fishing buddies – is that trout absolutely love Sunburst… and tied as a blob, it’s even better. From what I’ve found, a tungsten headed blob, fished at the correct level below a bung or indicator can be absolutely devastating, producing large numbers of fish when others have struggled. If you’re relatively new to fly fishing or using the indicator method, see one of my recent blog posts on how to fish the bung. 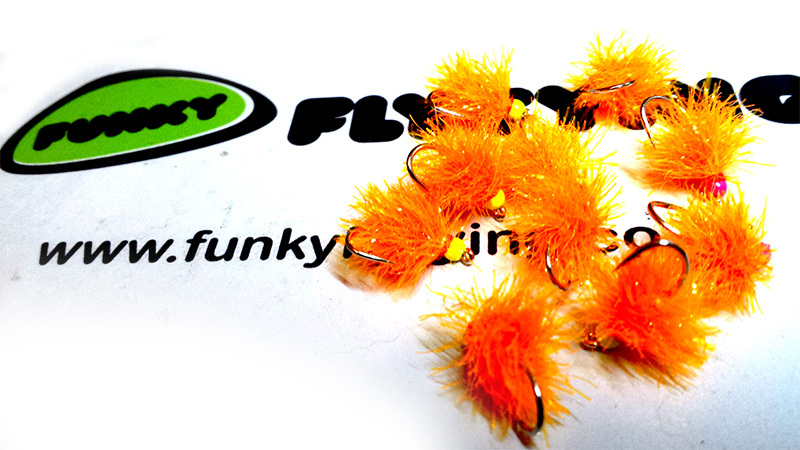 I tie the Sunburst blob with a variety of coloured beads, flo yellow & flo pink being my overall favourite. As a rule to my own angling, I’ve noticed that the yellow beaded blob will carry on producing fish when the flo pink tungsten beads stops, from what I can see the fish tend to get used to the intensity of the pink bead. So swapping between these two coloured beads can fool already suspecting trout. Blobs, you either love them or hate them – That seems to be the general feel for this fly in the fly fishing community. Personally, I love them, they catch plenty of fish and if allowed by the fishery, I’ll use them. Over the years I’ve found the less turns of fritz the better, this leaves the gape of the hook relatively snag free, allowing the fish to be hooked with ease, even on the lightest of takes. Usually a blob is tied using the full length of the shank, but my smallwater blobs are tied with a maximum of 5 turns of fritz, using a small part of the shank, believe me, it works.